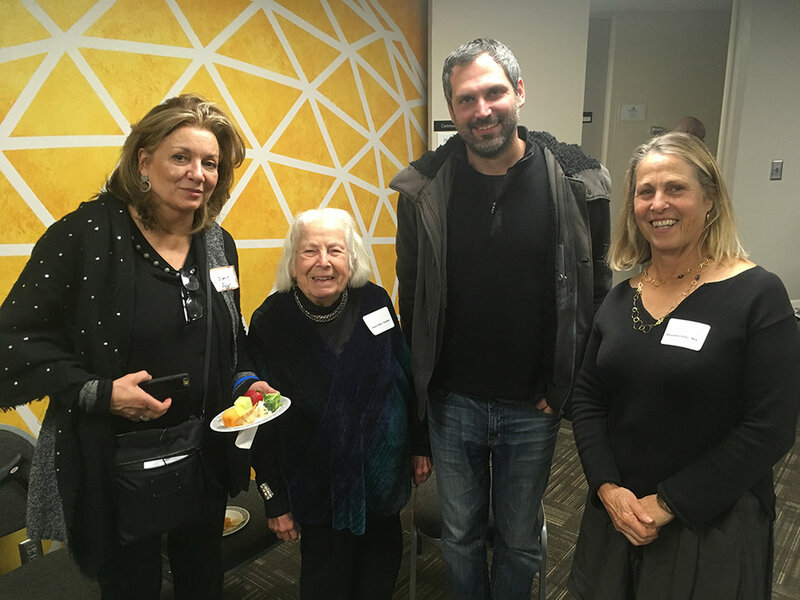 Buckminster Fuller’s daughter, Allegra Fuller Snyder attended the Inaugural Reception of the new Fuller Dome Gallery. 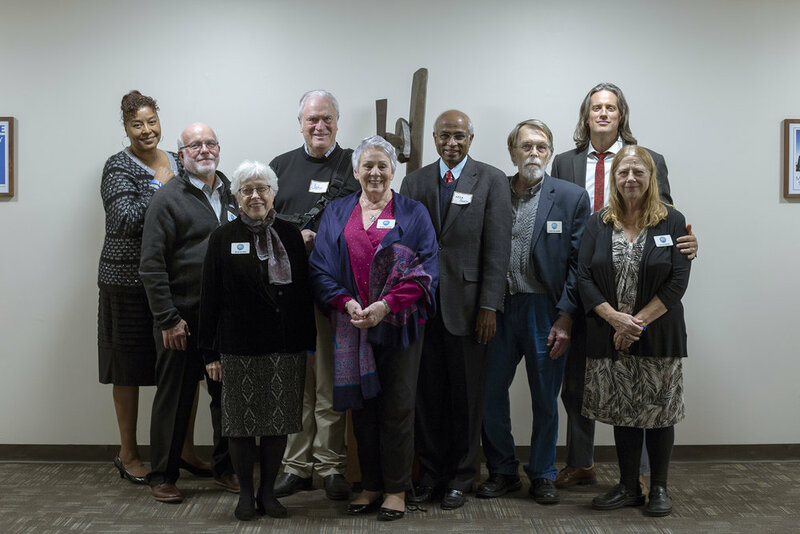 This new exhibition space was made possible by a grant from the Meridian Society. 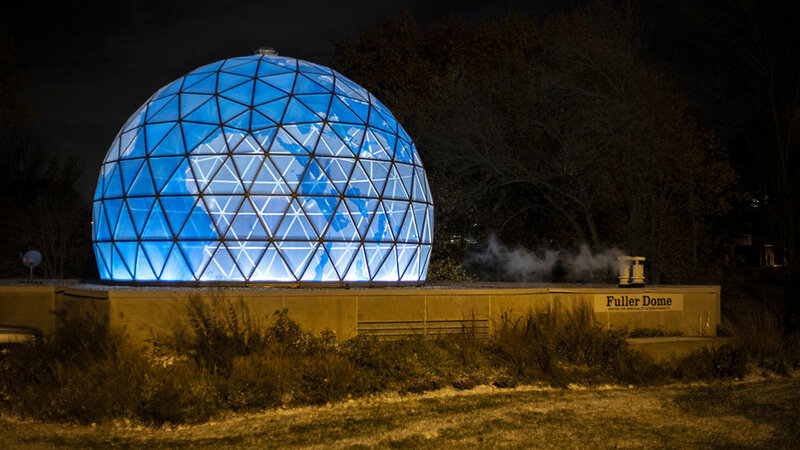 It is located inside of the Fuller Dome on the SIUE campus. 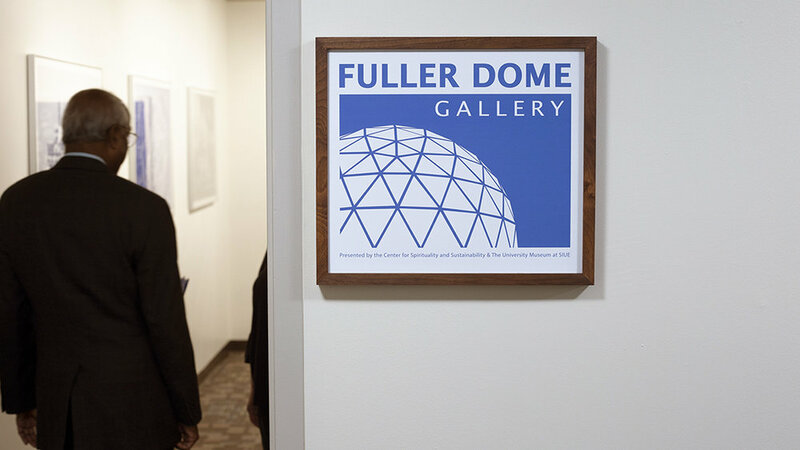 This inaugural exhibition created an opportunity to exhibit the Buckminster Fuller print portfolio, “Inventions, Twelve Around One.” Allegra had donated this portfolio of her father’s artwork to the Center for Spirituality and Sustainability in December of 2017 as way to recognize the good work being done by the Center to continue Bucky’s legacy.